Hi Crafty Friends... I know a lot of you can't wait or Spring to get here. I have friends who had to dig their way out of their house because there was just so much snow. I'm very lucky to not have that here! And, though the weather is erratic I still find myself very fortunate to be able to have warm sunny days from time to time. So for all those friends that are sick of snow, this one is for you!! 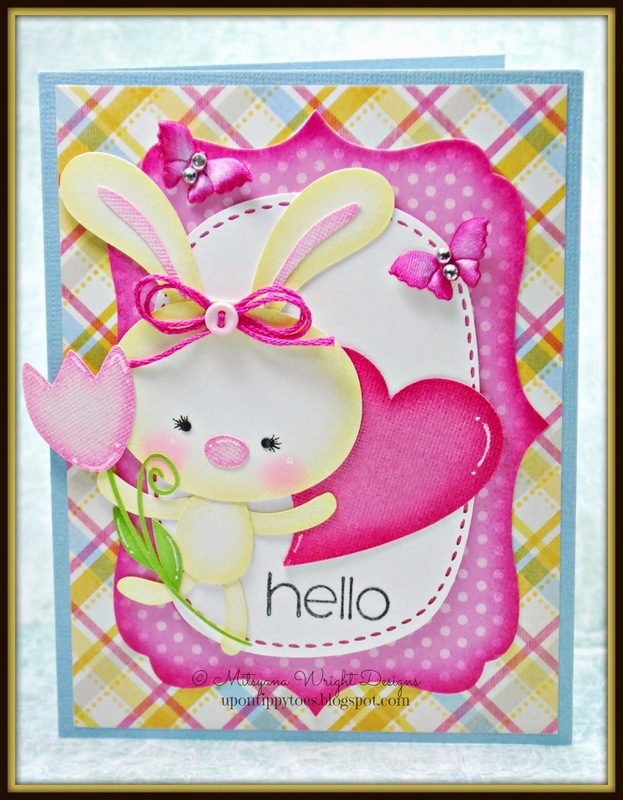 For this card I used the KaDoodle Bug Designs cutting file called Easter Spring Kit. 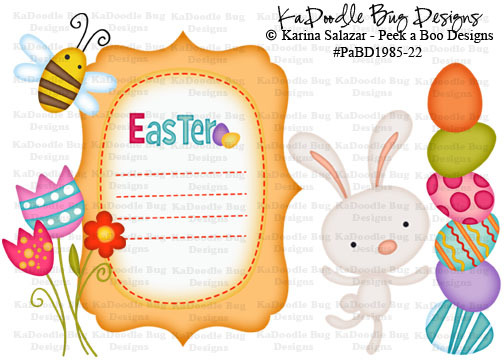 This set comes the ornate shape, stitched label, bunny, spring flowers, a bee, Easter eggs, and Easter title. The ornate heart is from the ecal library. And "hello" stamp is from Pink and Main's Sunny Days stamp set. Perfect for those sun shiny days I'm wishing for! This set has a few very small pieces and usually would be hard to shade. That is why I love ebrushing my paper pieces. I can color and shade pieces that I can't do with a sponge or a dauber. I think I need me more spring-y projects... maybe all this wishing and hoping and praying will actually bring some sunshine... fingers crossed for all the poor souls buried under snow. Well, one thing is for sure... It does make for great crafting weather! Pink and Main, eBrush, and a whole lot of BLING! !